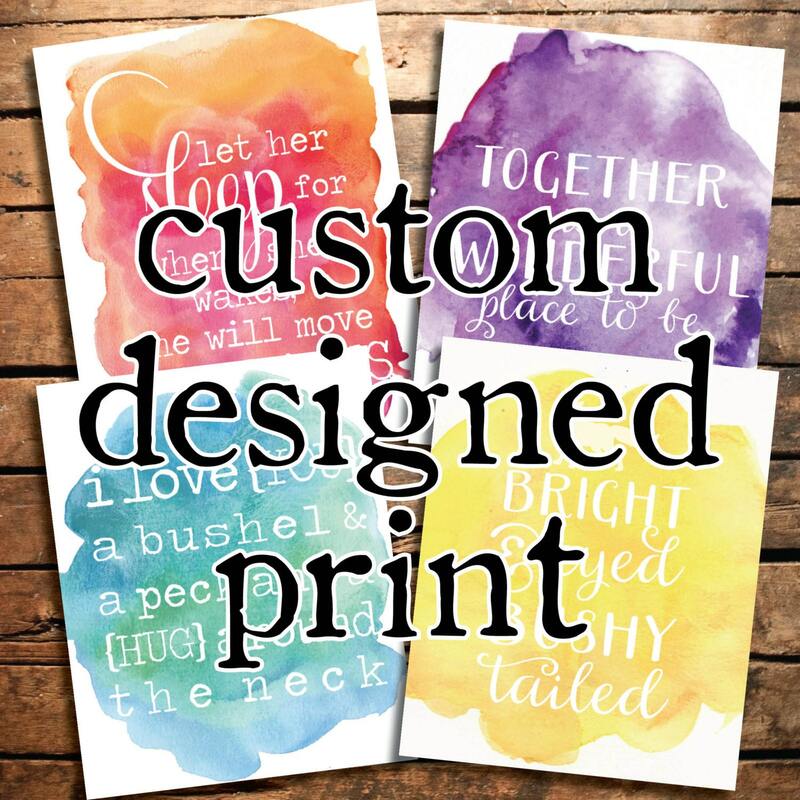 Custom designed 8"x10" watercolor art print with your choice of quote: song lyrics, poem, vows - the sky's the limit! You'll receive an electronic proof of the custom design for your approval before your print is made. This listing is valid for prints with up to 25 words. Additional design charges apply for over 25 words. Please contact me with the wording you'd like and I'd be happy to send you a quote.